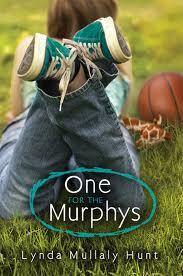 Mitzi and I recently read “One for the Murphys” by Lynda Mullaly Hunt. Last week, on our way down to Cape Cod for the holiday weekend, we discussed it, but as it was very late (close to midnight) and dark and I was tired. We talked for an hour but I didn’t take notes, so, for the record, her opinions expressed here are based on my memory of her remarks that night. Mitzi and I both loved Carley — she’s sassy and smart and really funny. But she’s very honest too, and her conflict is real. She tries her best to resist the affection that Mrs. Murphy offers her, but eventually gives in to it and comes to love Mrs. Murphy — perhaps even more than her own mother, who we don’t see much of in the book, though we do hear about the violent incident that landed Carley in foster care in the first place. Carley loves her mom and has loyalty towards her, but isn’t sure if she can forgive her for what she’s done. Meanwhile, Carley has to adjust to the three Murphy boys. The youngest two seem to like her right away and are easy with their friendships. But the older son, Daniel, resents Carley’s presence, and it’s not until the pair find a common ground in basketball that they start to get along. Then there’s Mr. Murphy, a fireman, who also seems put out by having Carley in his life. He’s slightly suspicious of her, and doesn’t hold back his obvious irritation. 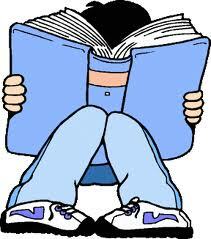 Throughout the book, though, he warms up to Carley, in part due to Carley’s new friend, Toni, who razzes Mr. Murphy about his obsession with the Red Sox. But the real story here is the one between Carley and Mrs. Murphy, who is an absolute contrast to Carley’s mother. Both Mitzi and I agreed that Mrs. Murphy is a wonderful character who helps Carley let down her wall so she can make new relationships and trust those who are trying to be nice to her and love her. We also both felt sucked into the story, like we were living it right alongside Carley. And, like Carley, we were sad at the end with the decision Carley ultimately makes. I think Mitzi is tougher than me when it comes to reading books like this one — there were plenty of moments that had me in need of a tissue, but that might be because I can’t help but read with my mom-lenses on. This book is definitely not a tear-jerker, but it does have quite a few heart-wrenching moments. The bottom line: we loved this book. Carley is strong and opinionated and funny — and also emotional, in that, she has them. Her character rang true with us, and Mitzi’s only disappointment was that she won’t get to know what happens next to Carley. “I really hope the author writes a sequel!” For me, I’m not sure that a sequel is in the cards, but I’m truly looking forward to the author’s next book. Her writing is just amazing. But don’t take it from me — go get your own copy! “One for the Murphys” is appropriate for ages 10 and up, and would be a great book for parents and kids to read together, as there’s much to discuss throughout, from foster families to relationships to honesty to trust, and more. Definitely a five-star book! Then last night I read this awesome post by the amazing Laurel Snyder. You should go read it. Now. I’ll wait for you right here. Laurel’s post just blew me away, because, in her usually beautiful style, she said exactly what I believe to be the immeasurable value of picture books — who needs them, and why, and what we’re losing by forcing our kids to read bigger and harder books at earlier ages. Then I thought, “Oh crap!” Because I really didn’t want anyone who read my blog yesterday to have gotten the message that I was suggesting that it’s a good idea to push kids in their reading. Because there is a difference between forcing kids to read up too soon, and helping a child expand his repertoire, broaden his literary horizons. In the former, you’re forgetting about all the wonderful things children — and adults — get from reading picture books, and you’re forgetting why we need those things. In the latter, you’re encouraging a reader to branch out and try something new. And you know what? Before bed he read one to Joanna. And despite his new library borrow, I saw him take a few picture books to bed. There are just some things you never outgrow. Last evening, after we’d dropped Cooper and Ray off at the baseball field and brought Mitzi to her softball game, Joanna, Ellie and I headed to the library. I wanted to get a book for Cooper’s project on John Adams, and figured it was a good time to restock our supplies. The girls loaded up with a dozen picture books and easy readers, and I chose a similar amount of middle grade reads for me and the big kids to share. Picking titles for Mitzi is easy — really, she reads just about anything, and there were some books I wanted, so we could share them. Choosing for Cooper was harder. 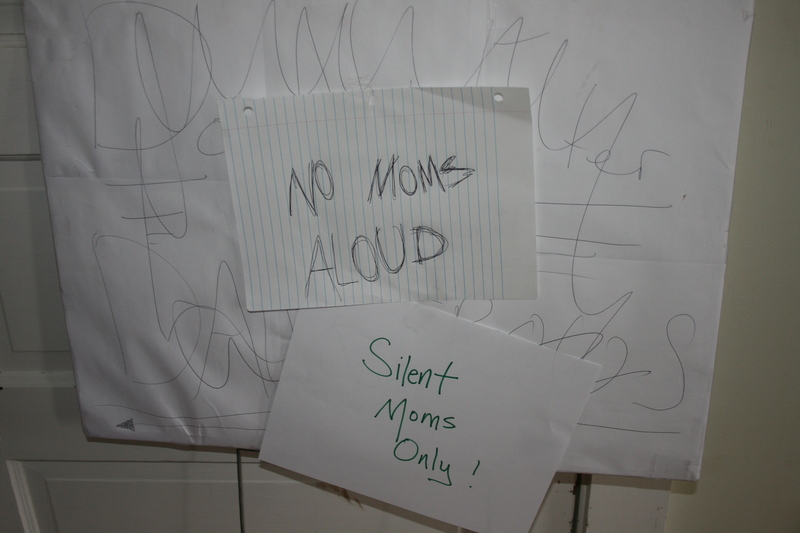 Once upon a time, my son, child of my literary loins, did not like to read. It didn’t come easily to him at first, and he is the sort who, used to certain things being easy for him, gets immensely frustrated when things are hard. It was difficult to watch — he struggled and gave up. Nothing interested him. He wanted to play sports, not be still with his nose in a book. As much as I try to let my kids be the little people they are, frankly, this drove me nuts. I love reading. Reading is awesome! CHILD, YOU MUST LEARN THIS TRUTH! Oh, he was happy to flip through picture books, mostly of the nonfiction variety, and, okay, that was fine, but I was there on the sidelines with a whole library just waiting for him. I began to worry that, even though he was going to be *able to read, he would never have that passion I truly wanted him to have. And then….Captain Underpants swooshed into our lives. It was perfect for Cooper — a graphic novel with hilarious text (bathroom humor and all) and fun interactive features (Flip-O-Rama!). As soon as he gobbled those up, I introduced him to the spectacular Lunch Lady series by Jarrett J. Krosoczka. (These, too, were a hit, not just with Cooper, but all my kids.) Suddenly, Cooper was reading eagerly, whenever he got the chance. It was time for my move. I’m a fan of graphic novels, but I wanted him to try longer texts, to challenge himself, to work his reading muscles because, darn it, there are so many awesome books out there that I knew he’d love if only he had the confidence to crack their spines. Around this time we had gone to my parents’ for a visit, and I was perusing a box of books I’d been saving for when my kids were old enough, books from my childhood that I read so many times they were battered and worn. And there it was. The perfect book for Cooper: How To Eat Fried Worms. I knew he’d love the plot, but also the fact that the chapters are quite short and not intimidating. I smuggled the book home and when the time was right, I offered it. Okay, I seriously played up the gross factor of eating worms and the competitive aspect of the challenge, but, hey. I knew they’d hook him. And it worked. He probably read that book a half-dozen times. It was our Chapter Book Milestone. From there he went on to books like Encyclopedia Brown, again, with short chapters and a fun pace. Soon after, he had The Big Kid Book Epiphany when he found Dan Gutman’s series of baseball books. And so Cooper became a reader. He is still unpredictable in his tastes — I’ve gotten him books that I was sure would be perfect, only to have him labor through the first few chapters. So it was, at the library, that I picked up The Prince of Fenway Park by Julianna Baggott and Scumble by Ingrid Law. I also told him that he was welcome to read any of the others I got — Hound Dog True by Linda Urban or Eleven by Lauren Myracle — though I did tell both the kids that the copy of Magic Under Glass by Jaclyn Dolamore was just for me. I think all kids can learn to love to read. As a parent, you just have to keep trying. If I could get Cooper from Captain Underpants to Percy Jackson in two years, you can do it too. The library is an excellent place to start. That’s how many books I’ve read with my children in the past 10 years. In truth, it’s an approximation, but it has been over 4,000. I know this because each of my four children participated in our elementary school’s 1,000 Book Club program — four kids, each completing the program, equals 4K books. It’s a neat idea, based on the research which shows that a child needs to read 1,000 books in order to have a strong enough foundation in literacy to become an independent reader. Parents sign up, and can borrow a bag of 10 books (the Red Bag that we’ve spent many a day searching for around here). You keep the bag for up to 2 weeks, exchange it for a new one, and so on, until you reach 100 bags, or 1,000 books. Students earn awards along the way, at each 25 milestone. At the end, they get a trophy. Students can start in their last year of preschool, but must finish by the end of kindergarten. Which is where we were last week, applauding Joanna as she (just under the wire with only one month left in school) finished the program. I am so proud of her — of all my kids — but really glad to be done. It’s just a grind, keeping track of the bags and their contents, keeping charts, returning books on time. I’ve been doing it for six years and AM VERY HAPPY TO BE DONE. But in the end, we read a whole lot of books. Because not only did we read those 4,000, we borrowed books from the library and read those too, and also the hundreds that we have in our own family library. 4,327 books in 10 years….and more to come. And I just keep thinking — how awesome would it be if EVERY child could have the chance to read this much. How amazing it would be if every 4 or 5 year old (aw, heck, every kid of every age) had the opportunity to enjoy a thousand books in two years — and how I wish more adults tried to make this happen for all kids, not just those in communities like mine. The other night, after I had tucked in the little girls and kissed Mitzi, who was already cuddled up under her covers, immersed in her reading, I found Cooper on his bedroom floor. Before him was spread out a few books and he had a thoughtful look on his face. I asked him what he was doing. “Trying to figure out what I want to read tonight,” he answered. These were not new books — he’s been reading them in turn for about a week. But Cooper doesn’t always read the same book day after day — he jumps from one to the next, depending on his mood. And it doesn’t bother him, and he easily follows the characters even if he hasn’t seen them for a few days. He’s a snackish kind of reader. I’ve given up trying to understand or change his ways. But I don’t get it. Because I’m a exactly the opposite. No nibbling on books for me, no tasting them here or there. Nope. When I read, I binge. If a book catches me on page one, I will do anything I can to read until it’s done, even if it means walking around the house with it clutched in my hands as I load the dishwasher or gather up dirty clothes for the wash. I stay up way too late, desperate to finish, because, if a book is that good I just can’t stand to go to sleep without knowing what happens. Of course, I can’t do this all the time, and it takes every ounce of my adult sensibility to put the book down and get on with my day. But while I do all the things I have to, I steal glances at it when I walk through the room, and sometimes even pick it up to read another page or two. Just for a minute. I was thinking about this today as I added another title to my library list. When will I be able to read all of these, and still do all the stuff I’m supposed to? by the amazing writer, KateMessner. In it, she reminds us of why, no matter how old a child is, reading aloud to him or her is one of the most powerful things you can do. 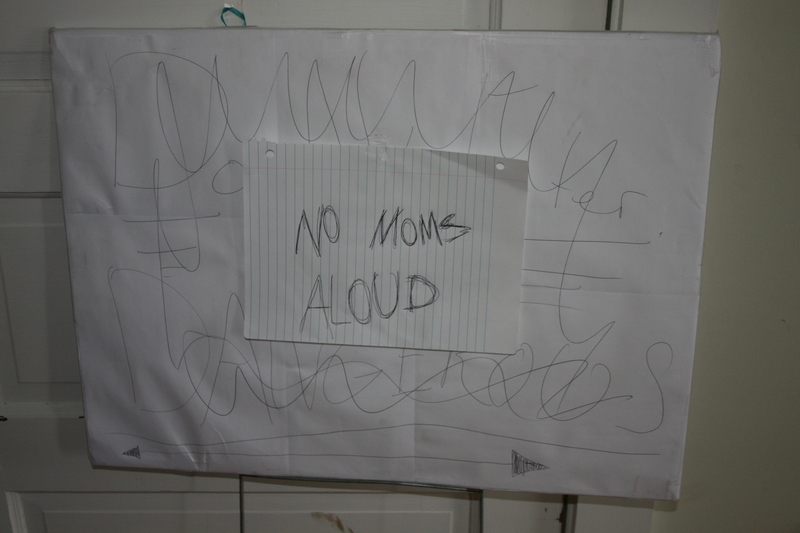 On my home front, in the interest of not adding one more thing to our already busy school mornings, I recorded the kids reading aloud last night (except for Ellie, because the memory card filled up before it was her turn, so she went this morning before school). The kids all picked books they love, books they remembered from when they were much younger, the kinds of books they begged to hear over and over and over again. And it was so fun to hear those words come out of their mouths, not mine, and I could almost picture them reading to their own future children. Okay, without further ado: our read-alouds for World Read Aloud Day! First, my dad’s annual contribution (with a little help from Max, my parents’ adorable dachsaund). I love my dad! Will you be reading out loud today? Share your stories!